James Daniel "Dan" Price, 74, of Norris City, passed away at 8:37 p.m., Tuesday, March 19, 2019, at the Linda White Hospice House in Evansville. He was born in Eldorado, IL on October 28, 1944, the son of James M. and Reva (Hargrave) Price. Dan married the love of his life, Carolyn Sue Deckard, on August 20, 1966. Dan graduated from Crossville High School in 1962. He attended Southern Illinois University and Oakland City College, and received his Bachelor’s Degree from Eastern Illinois University in 1966. Dan received his Master’s Degree from Indiana State in Terre Haute and his Specialist’s and Education Administration Degrees from Southern Illinois University. 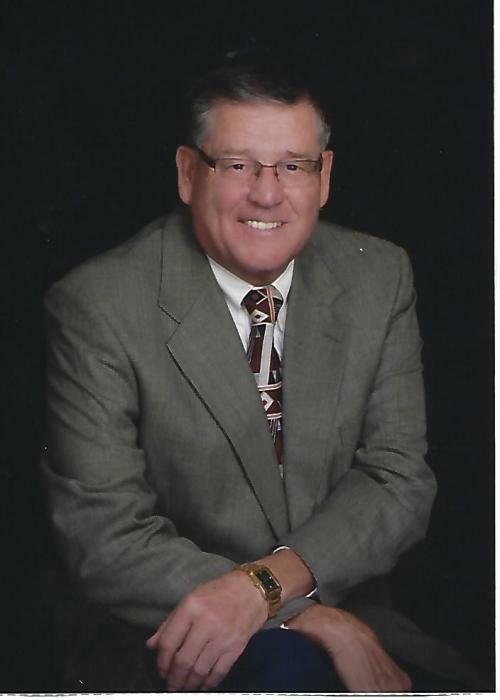 He worked his entire career in the Norris City Omaha Enfield School District. Dan started as an Industrial Arts teacher, later becoming the Grade School Principal, then the High School Principal, before becoming Superintendent. After retirement, Dan worked as an Interim Superintendent in various school districts for a grand total of 40 years. Dan loved his job as Superintendent and believed in being actively seen within the buildings and classrooms interacting with students and staff. He often visited each classroom and enjoyed asking the students “How are you?” and the students enthusiastically replying “Super-fantastic!” Dan always put the best interests of the students first and showed respect and value for each employee. He stood by the slogan, “It’s the right thing to do!” Dan was proud that he played an important role in the Early Retirement Program for teachers. He was also proud to have a part in building the new Norris City-Omaha Grade School of which the gym is named in his honor. Dan was a member of Ditney Ridge Baptist Church in Norris City. He was a devoted and loving husband, father and grandfather. Dan’s greatest enjoyment in life was raising his children, Derek and Kimberly, and in the most recent years, time spent with his grandchildren, Dylan and Riley. He was the biggest supporter of Dylan and Riley when they were competing in horse shows, following them all over the country. No one could be any prouder of their grandchildren than Dan, and they affectionately called him G-Dan. He was an avid golfer and was a member of the Carmi Country Club. He enjoyed traveling, especially to Florida and California, and enjoyed playing cards with friends and family. Dan also owned and raced Thoroughbred Horses. Dan is survived by his wife of 52 years, Carolyn; son Derek (Kathy) Price of Norris City; daughter, Kim Price, of Los Angeles, CA; brother, Allen Ray Price (Mary Beth) of Oblong, IL; two grandchildren, Dylan (Krista Rodney) Price and Riley Price. Dan was preceded in death by his parents, James and Reva Price, nephew, Jamie Price, and niece, Martha Price. Funeral service for James Daniel "Dan" Price, 74, Norris City, will be held at 10:30 a.m., Saturday, March 23, 2019, at Ditney Ridge Baptist Church in Norris City with Pastor Chris Marsh officiating. Burial will be in Ditney Ridge Baptist Church Cemetery. Visitation will be from 4:00 p.m. until 8:00 p.m. on Friday, March 22, 2019, at Ditney Ridge Baptist Church and on Saturday from 9:30 a.m. until service time at the church. In lieu of flowers, memorial contributions may be made in Dan's memory to Shriners Hospital for Children and will be accepted at Campbell Funeral Home in Norris City who is in charge of arrangements.